This client was concerned and fearful because they didn’t know how developing or trying to support teams would change their current brokerage model. My best advice to them is something I use constantly in my own business: Those that can change the most, succeed the most. It is extremely important to be able to adjust your business to new trends. You can keep your culture and still provide support to the emerging concepts of team in our industry. The disconnect I often see is that brokers avoid the subject of team development, leading to a lack of support for their agents. By helping your team find clarity and becoming business partners to them, you become invaluable. The risk of not doing this is your team members going somewhere else where they feel supported, and that could be detrimental to your business, resulting further in retention and recruiting issues. Educate leadership. Coach your management team to be leaders on the subject of teams. Hire an outside consultant if necessary to train them on the dialogues that work when managers are confronted by agents wanting to grow or start a team. Create a questionnaire that provides clarity to your agents about their priorities. This questionnaire can help agents determine if it is in their best financial interest to start or join a team, how they structure their team, what model works well for them, and how they position and leverage themselves within a team. Make necessary changes to your policies and procedures that will support teams. You may find you have outdated policies that prevent you from being flexible. Review accounting system “roadblocks” that limit your ability to allow for teams, whether partners or models that include one team leader with agents working “under them.” Getting together with key staff to fix these antiquated policies will make adopting teams easier, and help your managers to communicate your flexible, team-friendly environment. 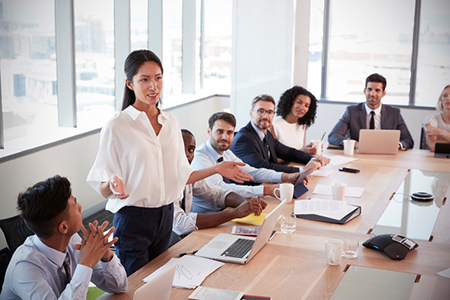 Expand your sales incentive programs to include recognizing your team leaders and their team members, and especially the “partner” teams where both could/should qualify for the incentives. Clearly communicate these to your sales associates so all know what the qualifications are to achieve each incentive. Your team leaders, their members and your partner teams will be driven to succeed more often when they feel their work is being appreciated, and they, as agents, are supported. To obtain my FREE Teams and Culture Success Guide, including a FREE “Questionnaire Template for Setting Up a Team” for your agents, please email yourock@sherrijohnson.com. This guide has amazing tools for you to create a culture of support for teams, and help you communicate and educate your managers and sales associates on how your company supports and provides value to teams and partner teams.